Taking helicopter lessons can be an intimidating, but also a rewarding decision. Some people learn to fly to overcome their fear of heights, while others do it to learn more about the vehicle itself. Flying Helicopters Made Easy, a helicopter flight school in Farmingdale, NY, is staffed by experienced professionals and pilots who understand that for many, a fascination with aircraft leads them to learn how to fly a helicopter. Safety: If the engine dies for any reason, a pilot can land safely because the rotors continue to spin, allowing him to maneuver the helicopter to the ground, landing safely. Bad Weather: Out of all aircraft, helicopters are the safest to fly in bad weather. This is because they can fly in all directions and can slow and stop when needed. Operation: Most helicopters have two spinning rotors—one on the top and one on the tail. 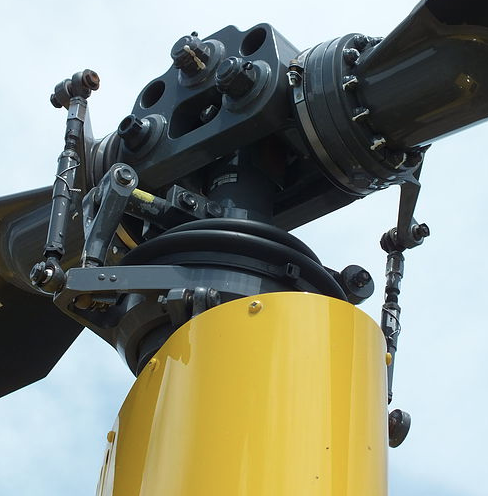 These blades provide the lift and thrust that allow helicopters to maneuver in 3 axis. Hauling: Despite their sizes, helicopters can lift large items, hauling them long distances. The largest helicopter can lift over 40,000 kg as far up as 2,255 meters. Other Names: Helicopters are also known as copters, choppers, helos, and whirlybirds. Uses: In addition to carrying passengers and items, helicopters are often used for filming, rescue efforts, hospital transport, fighting fires, and military use. Speed: Helicopters travel much slower than other forms of aircraft. The fastest recorded speed is almost 250 miles per hour. Maneuvering: Because they can move in almost any direction, including sideways, helicopters are ideal for rescues and deliveries in difficult to reach places. Hovering: Helicopters can hover, unlike other aircraft, and it is the most difficult skill for pilots to learn, requiring pilots to have constant control. Negatives: Helicopters aren’t without limitations. They are noisy, relatively slow and more expensive to operate, compared to other forms of aircraft. If you want to learn how to fly a helicopter, call Flying Helicopters Made Easy at (855) 359-6969 to schedule your first lesson today. You can also learn more about the flight school online.